Good news, Viners, the video app has just released it’s latest update for iOS Wednesday and it’s sure to please some users, especially after Instagram released it’s video option several weeks ago. You’ll find some new camera tools, categories, an amazing ‘ghost option’ for those who love stop-motion and some better Twitter connectivity within Vine’s app. You know how to retweet, well, now you can revine. Mashable says the new update will make Vine a whole, new experience. 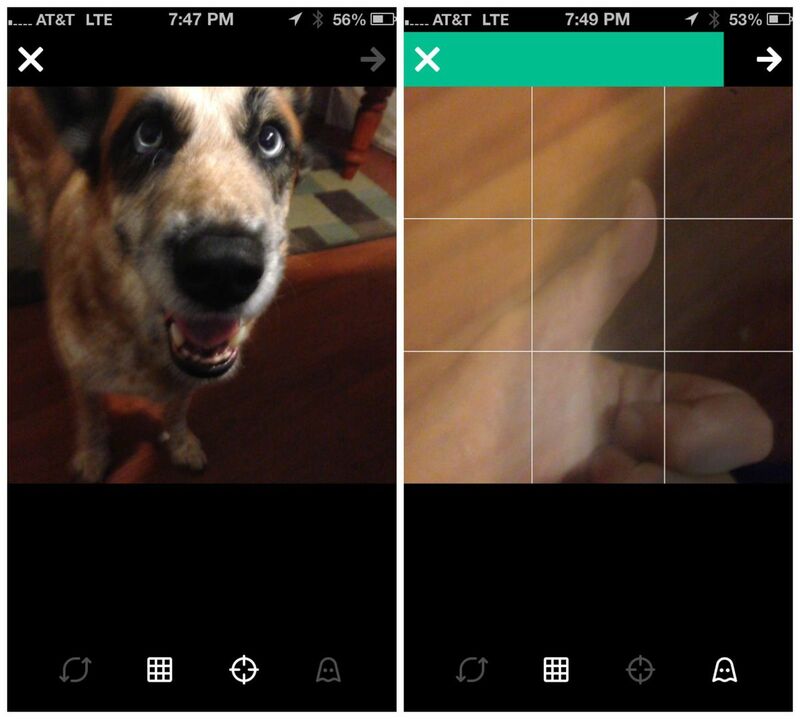 If you’ve been using Vine for a while, especially to create stop-motion videos, the new camera features will wow you. In a redesigned camera experience, the new camera boasts a grid option that can be turned on to help perfectly frame your shot, as well as a new focus button for pinpointing an object in the frame. The older version of the app had difficulty mastering this, in part because the way to focus the iPhone’s camera — tapping on the screen — is also how to record video with Vine. The iOS update offers a workaround: Select the focus icon from the bottom of the screen (a target icon), then tap on the screen as you normally would to focus your shot. Once focused, simply unselect the target button, so your next tap on the screen will record rather than focus. I played around with the feature, attempting to focus on various items on my desk for different portions of a Vine video, and in general I found the new feature works fairly well. It is a bit jarring to turn focus off before recording a clip, and required a few extra taps on the screen –- which hopefully, over time, Vine will develop a solution for. For instance, my video was just a few clips long. But if I’d been shooting a longer stop-motion video with hundreds of clips, the step of toggling between focus and record would have grown old fairly quickly. A new ghost feature in the camera is an amazing addition for those who use Vine to create stop-motion videos. With the ghost function activated, a small “ghost” appears in the last frame of your video and remains onscreen. This means you can perfectly line up your next shot based on where your old one left off, a feat that previously required the use of a tripod and great skill and patience. The ghost feature make stop-motion videos much easier, helping to remove the most common error of not matching up your last shot perfectly. 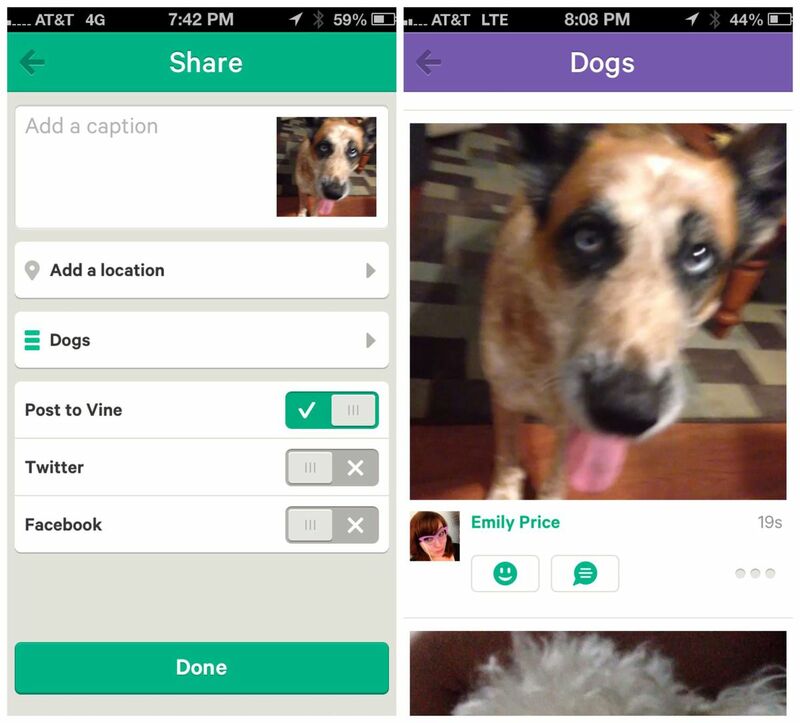 In addition to the enhancements in creating Vine videos, Vine also added some new features to help users find others’ Vine posts. Now, rather than simply browsing through a stream of Vine video or searching through hashtagged ones, you can explore videos based on a particular category. Vine introduced 15 “channels” in total on Wednesday: comedy, art and experimental, cats, dogs, family, beauty and fashion, food, health and fitness, nature, music, news and politics, special effects, sports, urban and weird. Add a category to your Vine video when you upload it by pressing a new button that sits below the area to add location information. Vine also added the ability to toggle between popular and new videos within each category. My video of a friend’s dog –- appropriately tagged with “dog” — appeared instantly in the new portion of the “dog” category, while the popular section primarily contained videos with a considerable number of shares. A new section of Vine “On The Rise” displays recently uploaded Vine posts that are racking up lots of shares. Several features that Twitter uses will be familiar with also made their way to the Vine update on Wednesday. Now, you can “revine” someone else’s Vine post to your followers, similar to how you might retweet on Twitter. 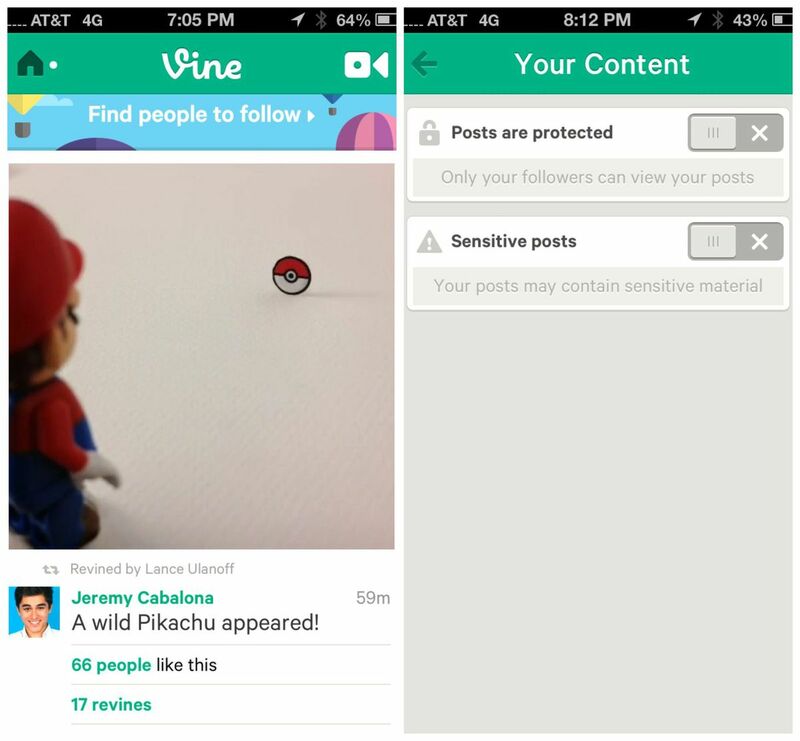 In the image above, Mashable Editor in Chief Lance Ulanoff revined a Mario Vine, which then appeared in my stream. And he wasn’t the only one — a counter below the Vine showed that it had already been revined 17 times. If you would rather not share your Vine videos with the masses, the update also added the ability to make your entire Vine profile private (also a feature on Twitter), forcing others to request your permission before viewing your posts. 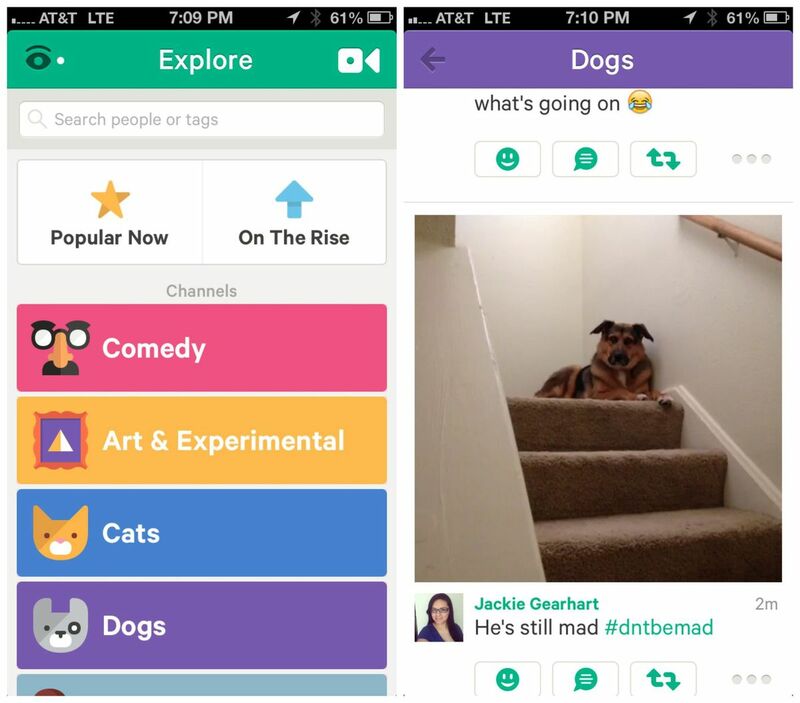 iOS users can download the updated version of Vine now from the App Store. Have you tried out the Vine update yet? Let us know what your favorite new feature is in the comments.